as well as proud members of the Dutch Breed Club, Vereniging Het Nederlandse Kooikerhondje. Check us out on facebook for updates on our Kooikerhondje pack! We love to share our love for the breed with everyone! The Kooikerhondje breed is not only a passion of mine, but they are my life! The Kooiker and I share our nationality; we are not only both Dutch, but we come from 'Fryslân'! We are also both very high energy and love going for walks to the river! I cannot imagine a life without this amazing little red and white dog. I was lucky enough to grow up in the Netherlands with a Kooikerhondje I named Boeffie. She and I were partners in crime. We had a connection that you don't find with just any dog. She knew when I would be home and always waited patiently for me. This connection that my Boeffie and I had is the reason I fell in love with the breed so long ago. 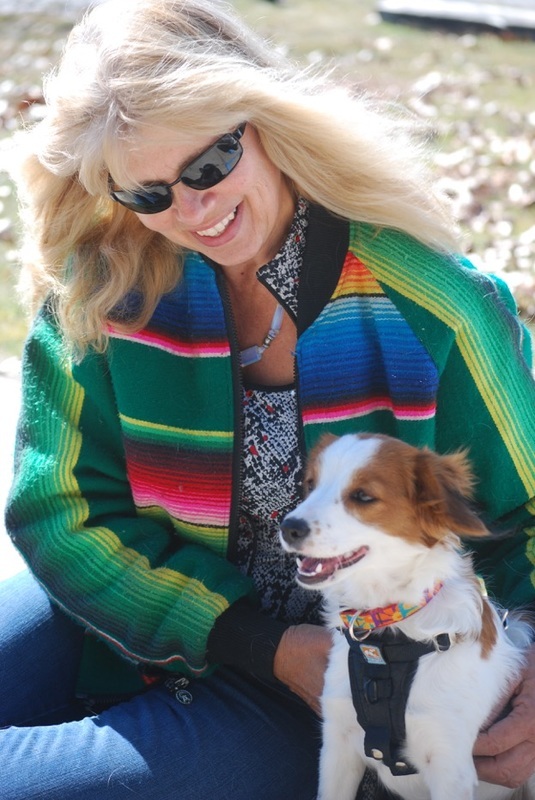 The connection I had to my first Kooikerhondje is also the reason my husband and I decided to begin breeding Kooikerhondjes in the USA. We did a lot of research in trying to find the right breeder in the USA and did not like what we found. There were a lot of spay/neuter contracts and very long wait lists with deposits to be put on the wait lists and no guarantee that you would even get a dog. This is when we decided to look further. We asked our niece in the Netherlands to do a little research and we found a breeder who was willing to sell us a breeding pair of Kooikerhondjes. This was one of the few breeders who didn't mind selling quality to a country who did not work with FCI (an international breed standard organization). We imported our first two dogs in 2010, and it has been an adventure ever since! Evie is our matriarch and the top dog at Iserman Hoeve Kennel! Our two Kooikers eventually became three and then four. We currently have five Kooikerhondjes living with us in a three different homes. It is needless to say that our Kooikerhondjes are more than well loved and share our beds at night. If you are interested in a Kooiker puppy of your own, make sure you have the energy and patience! They love to please their owners, but they can be a handful if they feel ignored or neglected. They are loving, caring, protective, and make excellent companions. They excel in agility, barn hunt, nose work, luring, dock diving. They are great dogs to have indoors and outdoors. If you are thinking of becoming a proud Kooiker parent, make sure you have the time and energy!